Eurobuilding Engineering Ltd is building the "White Diamond Luxury Resort"
The amateur tennis tournament Eurobuilding Open 2008 took place in Tennis Clib "Briz"
Eurobuilding Engineering Ltd is a rapidly growing construction company that specialises in both residential and commercial property projects. 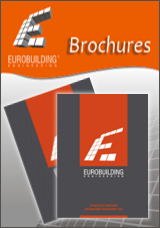 Located in the Burgas region of Bulgaria, our company has established itself as one of the largest and most reliable building companies in the whole region. With an ever expanding portfolio of completed residential and commercial projects, we are fast becoming recognised as the company of choice by large investors! 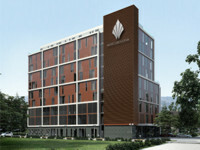 As a construction company we are unique on the Bulgarian Property market. We not only offer our own development projects, but are regularly commissioned to build individual property for smaller investors and whole development projects for larger investors. 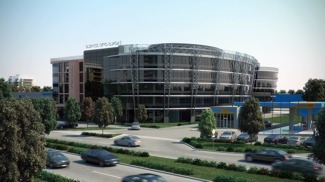 The 'Business Expo Burgas' will be the first building in Burgas to have a purpose built Exhibition Hall, with event organisers being invited to hold exhibitions for a whole range of commercial activities (e.g. motor industry, fashion, property, building firms etc). This alone will attract a great deal of attention to the centre, both locally and nationally. Owning an office in a building that gains prestige and national recognition will make it exclusive. Exclusive buildings are at a premium, and potential tenants or buyers will pay a premium to use them. An exquisite self-contained beach front complex with unobstructed sea views. 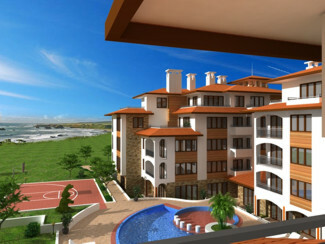 Only a short drive to the airport, Burgas and a newly planned golf course at Laka. An excellent investment opportunity, with the potential for exceptional capital growth and rental returns. 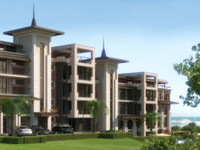 Marina Park is a luxury complex only 200 metres from the end of the Marina and 100 meters to the beach. 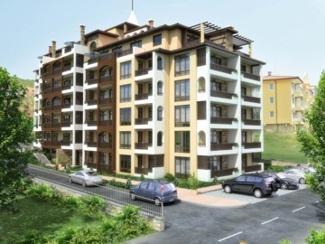 With St.Vlas being recognised as one of the more 'classy' locations on the Black-sea coast and with property prices rising above the national average, this is definitely a sound investment and lifestyle choice. 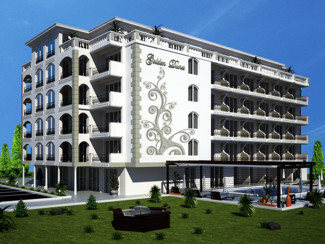 Golden Dunes is an exquisite beach-front resort complex located in the beautiful southern coastal town of Primorsko. With a pristine white sandy beach only a few metres away and surrounded by protected nature reserves, the resort is set in the most stunning of locations. Сграда успешно съчетаваща стилна архитектура и модерна визия, комбинираща в себе си уют, удобство и функционалност. Жилищна сграда Братя Миладинови е една от новите и модерни сгради, изграждаща се от реномираната строителна компания "Евробилдинг Инженеринг", компания имаща зад гърба си богат опит в изграждането на подобен тип сгради. Това е прекрасна възможност за всеки, който цени лукса удобството и уюта. Новострояща жилищна сграда в суперцентъра на град Бургас, на ул. Самуил, в район с отлични комуникации и бърз и лесен достъп до обществени институции, търговски обекти и заведения; близо е както до оживени централни улици, така и до пешеходната зона на града. Сградата е с модерна архитектура и в нея има два магазина, 10 офиса и осем апартамента с площ от 50 до 150 кв.м., разпределени на партер, 3 етажа офиси и три жилищни. В бързоразвиващия се жилищен комплекс "Възраждане", в непосредствена близост до центъра на град Бургас, в район с отлични комуникации, с бърз и лесен достъп до обществени институции, търговски обекти и заведения е разположена сграда с модерна архитектура и дизайн. В нея се включват 13 апартамента с големина от 45 кв.м до 119 кв.м., както и 2 магазина на партера с лице на улица, един офис. Boliari Towers has been named after wealthy merchants that used to trade over 150 years ago in this region of Veliko Turnovo. The building has been designed to blend perfectly into its historical surroundings, with its architecture taking its cues from the eclectic mix of period buildings. Located in the Kartala region of the city on Vasil Petleshkov Street, Boliari Towers is only 5 minutes drive from the centre of Veliko Turnovo, with views over the city. Situated in a superb location, whithin walking distance of the beautiful "Sea Garden" park, city centre and beach! The street of Batak is situated in the sort-after Lazur region of the city, which is very popular with many Burgas residents. 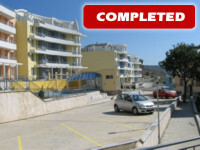 Therefore, as an investment you will have no problem finding Bulgarians who will want to rent or buy your apartment! 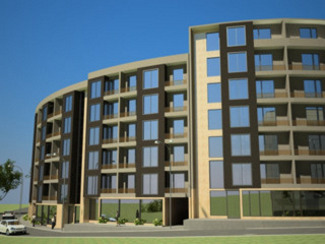 Contemporarily styled, Prestige Complex is a new and very elegant residential complex situated in an up-and-coming residential area with quick and easy access to the city centre. 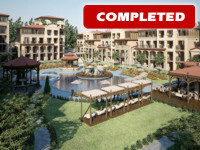 The new development is part of an area abundant in lush landscaped gardens and freshwater lakes, as well as many facilities, and is meters away from the ring road of Bourgas. Paradise Dune Beach & Sport Resort is located in the town of Sozopol on the widest and longest beach of Kavatsite. The complex provides for an excellent infrastructure offering a pleasant holiday, as well as facilities for active sport activities. Paradise Dune Beach & Sport Resort has been designed to meet the highest of 5-star European standards. Located slightly outside the bustling Sunny Beach resort, some 30 minutes drive from Burgas airport, Sunset Kosharitsa provides the rare combination of a completely self contained holiday centre, set in peaceful, natural surroundings, with fast and easy access to the amenities of the bigger resort ... the perfect family holiday experience. 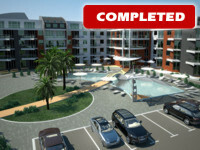 Emberli is a gated development of 116 apartments and a complete range of integrated facilities. Located in the new northern part of the resort, neighbouring a wooded copse and a small stream, Emberli lies just a short stroll from the wide sandy beach. Grand Sirena is an incomparable beauty, where a privileged few will find a sanctuary of recreation, relaxation and tranquillity. It reveals fascinating exterior architecture with a well-chosen interior finish and offers a diverse and flexible mix of studios, 1-bed, 2-bed and 3-bed apartments, distributed among three separate blocks. The complex offers a finely balanced mix of apartments, shops and offices and features a fully integrated range of services and amenities characteristic of a four-star hotel. The building enjoys a strategic location, with fast and easy access to the centre. Central to this concept was a classical design with a blend of Mediterranean architectural elements, fine detail and a subtle combination of warm colors. All of the design elements and details carry through the style, comfort and high standards that will measure up to the special requirements of owners.